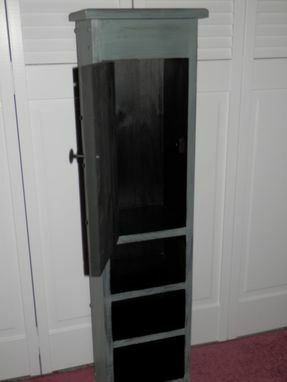 Cabinet shown in spruce green. 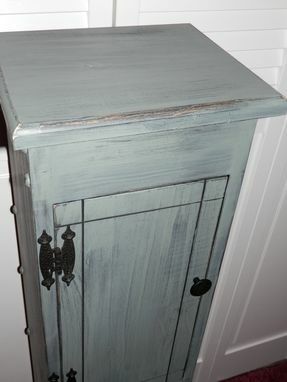 Sanded and finished for a distressed look. 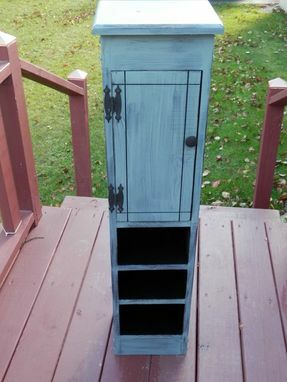 Measures 40" tall 9" wide and 7 1/2" deep. Door opens for hidden storage. Has 3 shelves for additional storage. Comes fully assembled !